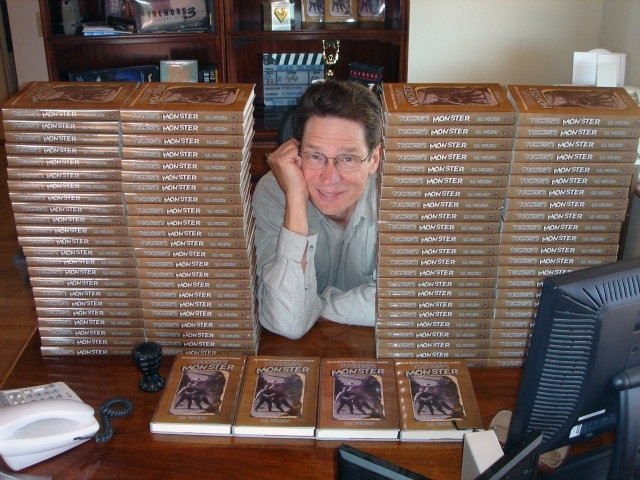 S.S. Wilson, screenwriter of such films as Tremors and Short Circuit has just finished his first novel Tucker's Monster and is now writing his second novel Fraidy Cats. Maddock and Wilson continue to write freelance while developing original material for Stampede. In 2007 they wrote THE MARINE MAMMAL PROJECT for Disney and remake of SMOKEY AND THE BANDIT for Universal as well as a book adaptation, THE ADVENTURES OF SLIM AND HOWDY, for Sony BMG. In addition to screenwriting, Wilson is branching out into fiction. His first book is an action-adventure tale Tucker’s Monster. In addition to screenwriting, Wilson is branching out into fiction. His first book, an action-adventure tale titled Tucker’s Monster, will be published in 2010. For more information or author appearance & interview requests.